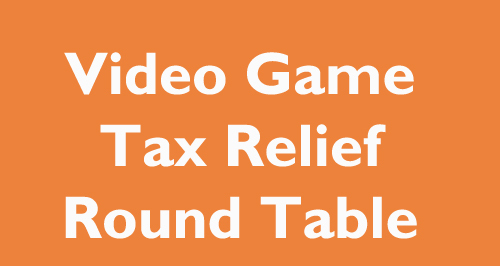 Northern Ireland Screen is hosting a lunchtime round table with Colm Seeley of the BFI on Video Game Tax Relief on Friday 19 October from 1pm to 2pm. The UK video games tax relief can be worth up to 20% of the total budget of your game. If you’re uncertain about how to apply—or if you even qualify—then this presentation is relevant to you. The BFI Certification Unit handles part of the tax relief process on behalf of government and in this talk we’ll cover how to qualify for the relief and what it’s worth to your company as well as provide a detailed introduction to the cultural test your game must pass to qualify. The aim of the talk is to demystify the cultural test and provide straightforward guidance on how to pass it easily and efficiently. There will be time afterwards to ask questions specific to your game and company. Colm Seeley joined the British Film Institute as a certification analyst shortly after the introduction of the video game tax relief in 2014. In addition to assessing cultural test applications, he has worked with game developers, DCMS and HMRC to ensure that the cultural test and the associated application process have kept up with the needs of the industry. Colm is an experienced speaker and was a member of the British Game jury for the 2018 BAFTA Games Awards. Prior to joining the BFI, he worked with IndieCade, co-designing metagames for the 2011 and 2012 festivals. Colm is @ColmSeeley on Twitter and spends his spare time languishing in Super Platinum rank on Street Fighter V.
Game producers, studio heads and developers interested in financing their projects and looking to understand Video Game Tax Relief.